It’s no secret that Vancouver’s real estate is just a little absurd, and a recent study naming Vancouver as the third most expensive housing market in the world, right behind Hong Kong and Sydney, Australia, doesn’t help. Take this tear down on a 7,750 square foot [0.18-acre] waterfront property along what is considered the “Golden Mile”, Point Grey’s most prestigious area to live. In 2014 it was on the market for $14,889,000 CAD before selling in August 2015 for $15,500,000 CAD – a whopping $611,000 CAD more than the 2014 list price. A year and a half later and that same tear down on that same 7,750 square foot waterfront lot is back on the market, but this time for substantially more. It’s going to cost you $21,800,000 CAD. This price doesn’t include demolition & haul away costs, or plans for a new home, you’re just buying the waterfront lot with undeniably gorgeous views & a grandfathered private dock accessing the beach below. It will cost you several more million to design & build a new home on the property, but lets be honest, there’s a good chance it will end up being a faux French Château that will never have the privilege of being lived in. That’s one option. 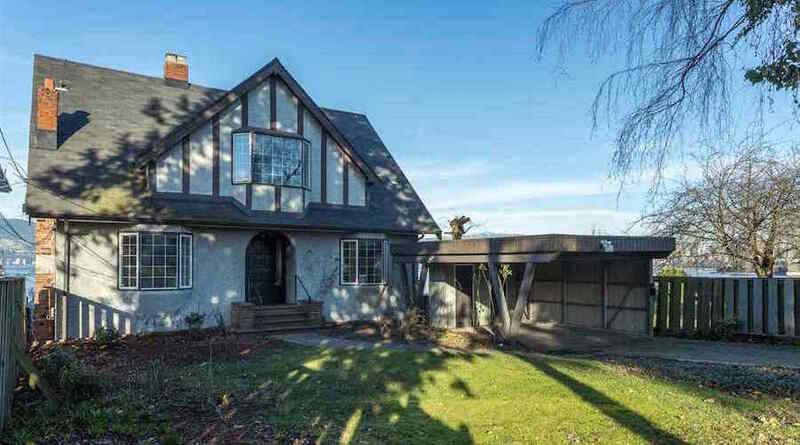 Instead of buying this inflated 7,750 square foot lot in Vancouver’s posh Point Grey for a whopping $21,800,000 CAD, you could actually buy four move-in ready Châteaux in the French countryside for $21,179,762 CAD and still have $620,238 CAD leftover [Total spent on Vancouver home $21,800,000 CAD, subtract total spent on four properties in French $21,179,762]. The four properties range in price from €2,900,000 [$4,036,096 CAD] to €5,500,000 [$7,654,664 CAD] and in total include 35 bedrooms. 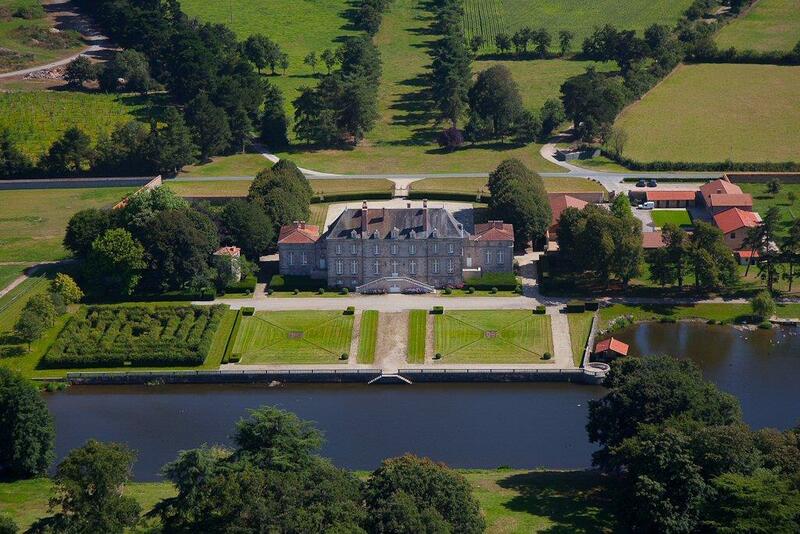 Scroll down and take a tour of these palatial homes and choose what you would do. 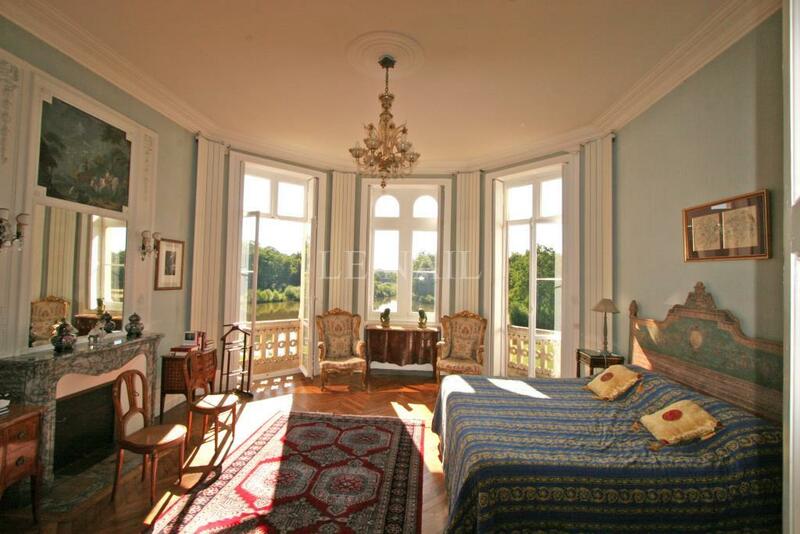 Beautiful 19th-Century château located near Poitiers on 70.79-acres. 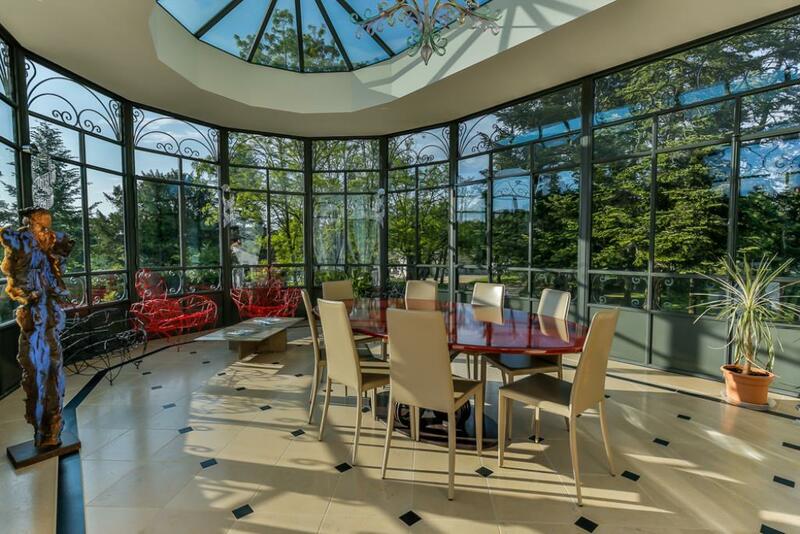 Nearly 14,000 square feet with 6 bedrooms, a heated indoor swimming pool, wine cellar, herringbone parquet flooring, Louis XV fireplace, and a conservatory. The grounds include a 3-bedroom guest house, independent offices, swimming pool, tennis court, gardener’s building, greenhouses, 7,000 square foot barn, and a 15th-Century dovecote. 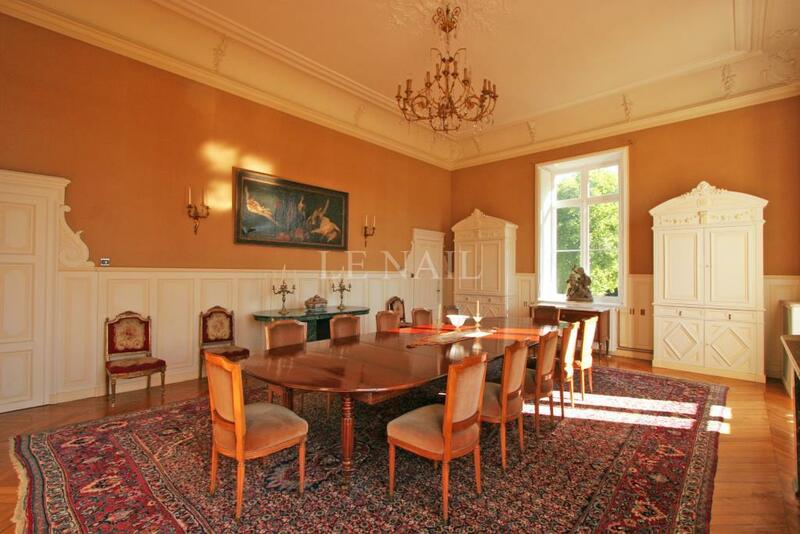 Listed at €5,500,000 / $7,654,664 CAD with Le Nail. 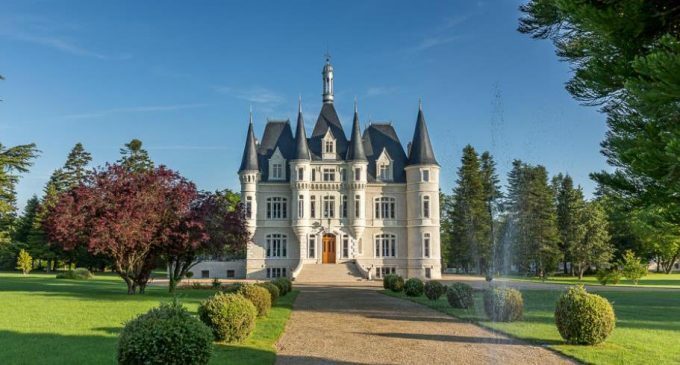 This 7,534 square foot château is situated in a nice hilly countryside on 38-acres close to a small village with shops and services and is located about 161 miles west of Paris by motorway, and 1 hour 10 minutes by train. The buildings date back to the 17th & 19th-Century, while the large dovecote tower dates to the 16th-Century. 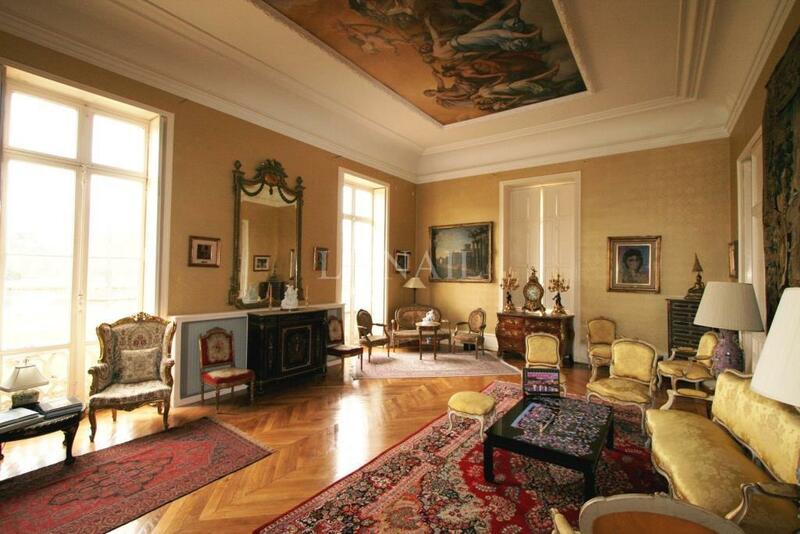 There are a total of 15 rooms with 6 bedrooms. The reception rooms offer several decorative period features from the 18th century (fireplaces, woodwork, and doors) and a remarkable quality of decoration and finishing. 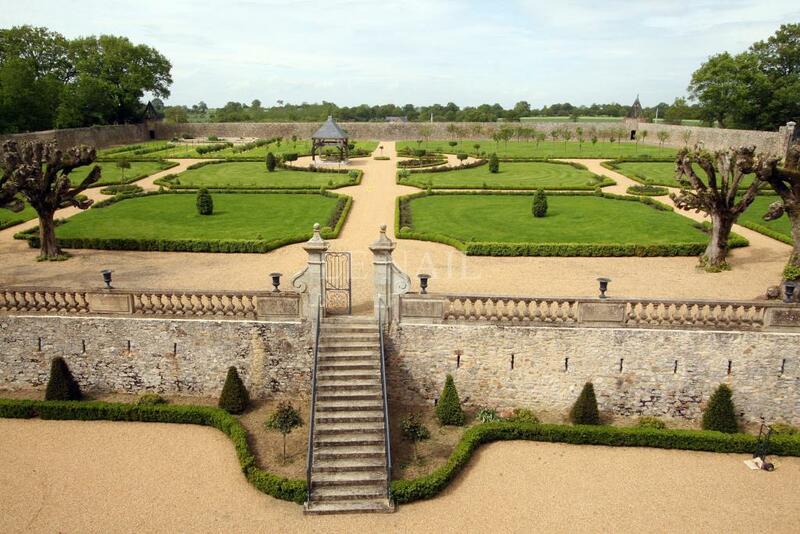 The whole château, as well as most of the outbuildings, the garden and the woods are registered on the French Supplementary Historic Monument List. The property also includes a caretaker’s house, a chapel, woods, meadows, a pond, formal French gardens, and several fruit trees. 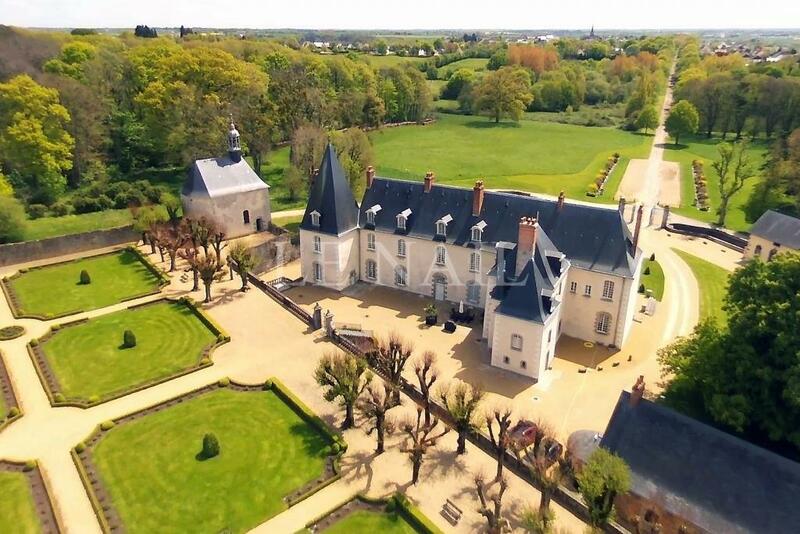 Listed at €3,850,000 / $5,358,265 CAD with Le Nail. 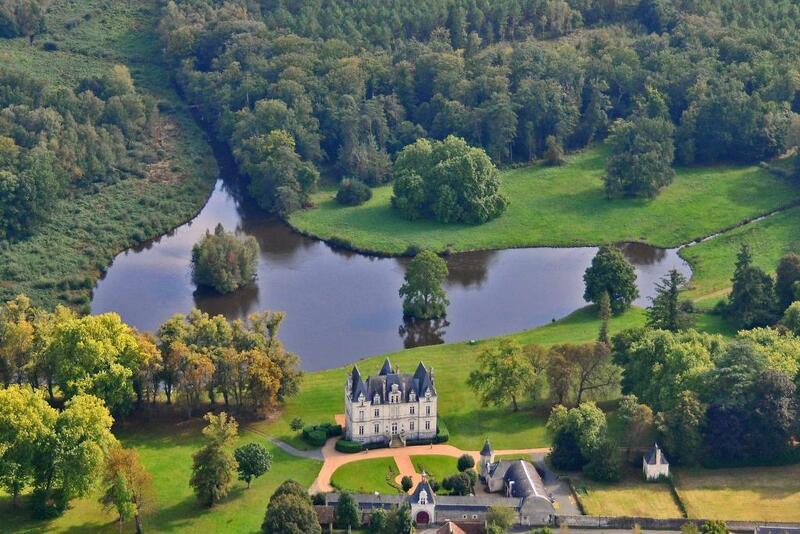 Built over the remains of a 15th-Century dwelling, the foundation of the actual château started at the end of the 18th-Century and finished in the early 19th-Century. Sitting on 103-acres, this 9,687 square foot, 7-bedroom château includes many formal rooms, exceptional woodwork, and a vast entrance with beautiful stairway. The property also includes a caretaker’s house, garages, a pool house, 15th-Century water tower, 15-Century chapel, a small sheepfold, various species of one-hundred-year-old trees, and two ponds. It is registered on the French Historic Monument List. 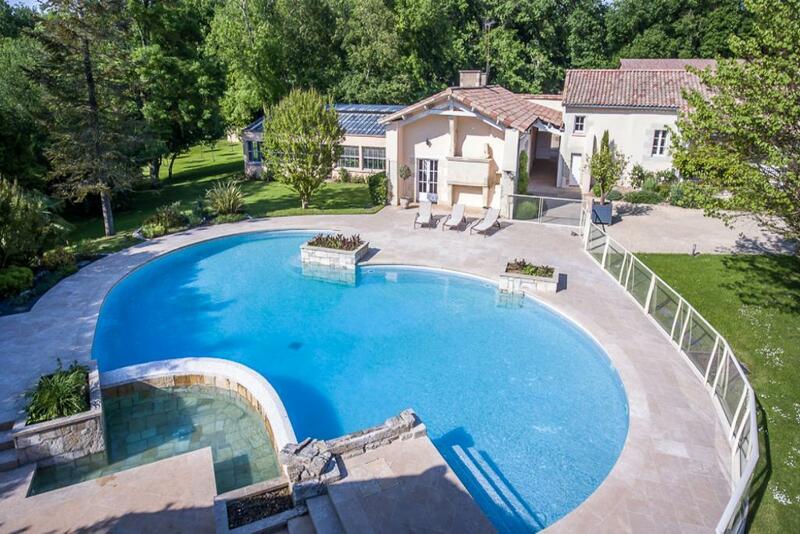 Listed at €2,968,000 / $4,130,735 CAD with Le Nail. 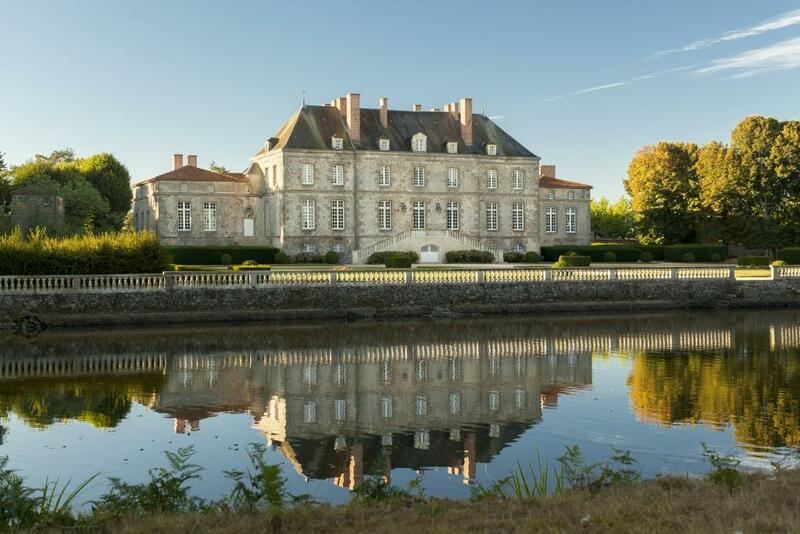 This beautiful 15-bedroom château is situated between a village and the countryside, about 2 hours West from Paris, and is within walking distance to basic amenities. With a little over 8,600 square feet, the home sits on a vast 232-acre property complete with elegant orangery, stables, garages, a vast barn, and staff accommodation. 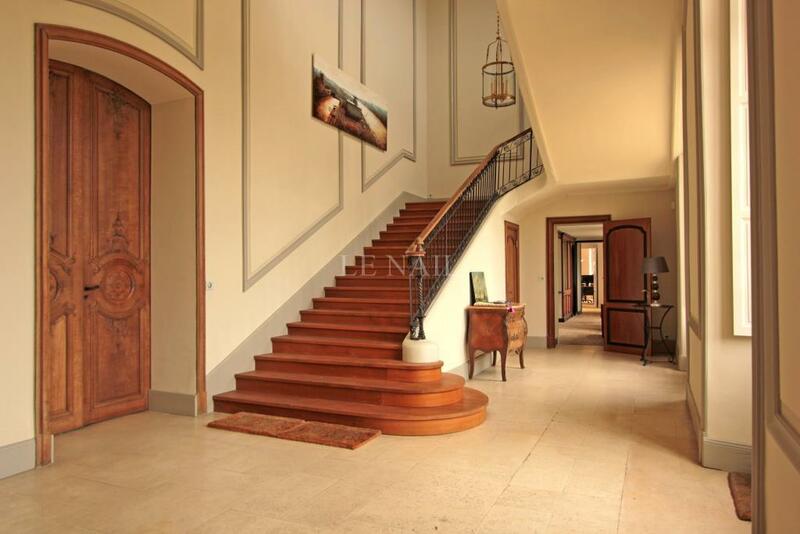 Each floor offers about 2,690 square feet of space with details such as stone columns, stone floors with inlaid decoration, parquet flooring, marble fireplaces, and moulded ceilings. Some of the rooms include a 602 square foot living room overlooking the pond, a 387 square foot study, and a large 688 square foot dining room. The grounds include various species of trees including laricio pines, scotch pines, and maritime pines. 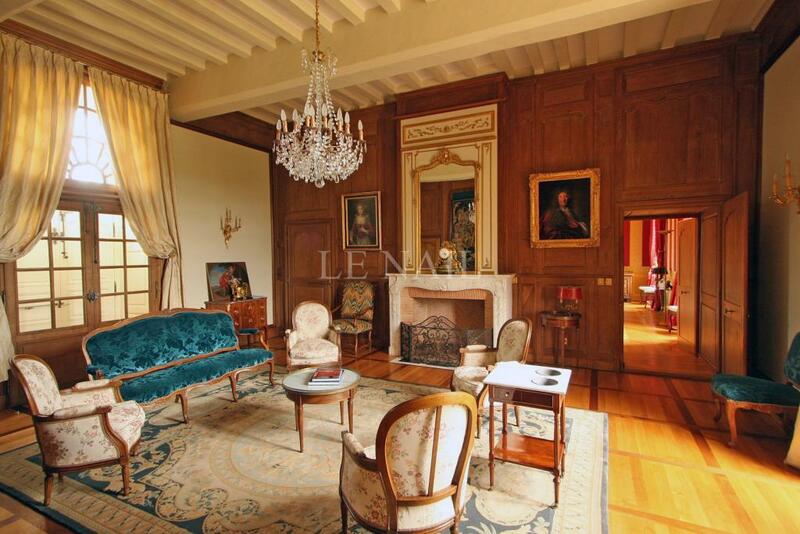 Listed at €2,900,000 / $4,036,096 CAD with Le Nail.